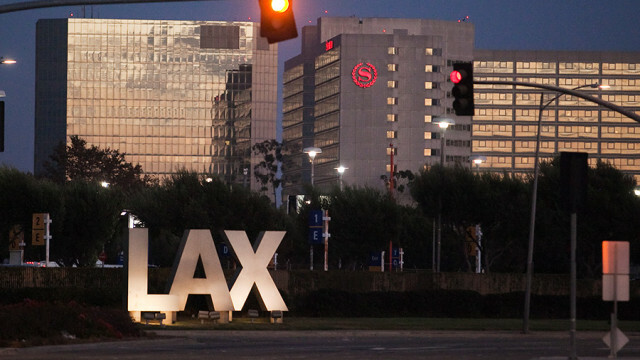 A lighted LAX sign welcomes visitors at Los Angeles International Airport (LAX). 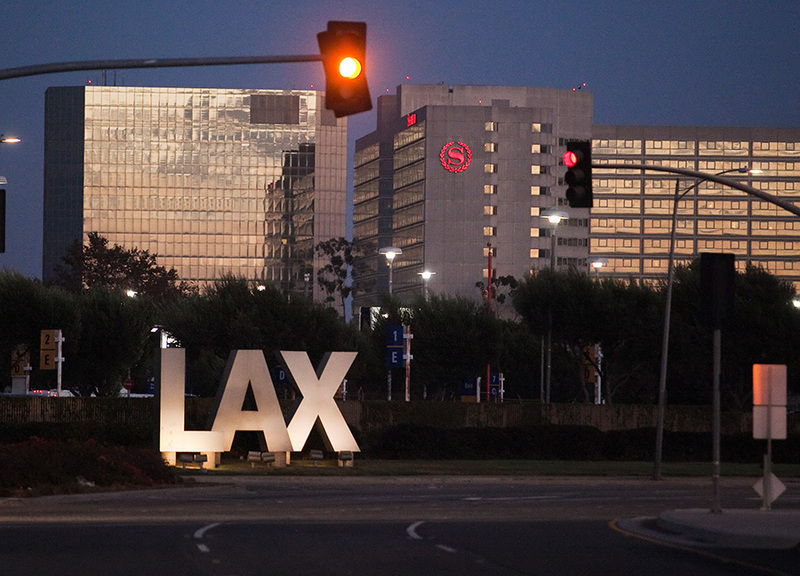 Some workers at Los Angeles International Airport are planing to protest Tuesday as part of demonstrations at 40 airports in 13 countries seeking better wages, safer workplaces and other demands. The protest at the Terminal 4 departures level and the other airports is being organized by Service Employees International Union, the International Transport Workers’ Federation and the UNI Global Union. SEIU said workers such as baggage handlers, security officers, cabin cleaners, janitors, wheelchair attendants, and others help provide large profits to the global airline industry, which is projected to profit $38.4 billion in 2018, while the companies’ workers struggle to make ends meet on low wages and often without benefits or paid days off. SEIU said in the U.S., nearly half of all airport workers skip meals or go hungry, and nearly 30 percent rely on public assistance. But the protest is also aimed at raising awareness of conditions in other countries, as SEIU said in Thailand, some airport workers are paid just $10 a day, which is half of the living wage for that country, and that airport workers in Indonesia are only paid $1.50 an hour, which is far below what it takes to cover basic necessities. The union also said some major U.S. airlines receive help from public tax dollars but make large profits by charging excessive fees, including United Airlines, which received $44 billion in taxpayer support last year but brought in the most of any airline in ancillary income, which includes baggage fees and reservation change fees, at $5.7 billion. “United Airlines is committed to treating all of our employees fairly, providing them with competitive compensation and industry-leading benefits and privileges and creating a safe, supportive work environment, whether or not they are represented by a union,” United Airlines said in a statement.